The wickedly curved blade of the Doomsday Tactical Stalker Sword is sure to instill fear into the hearts of your enemies. 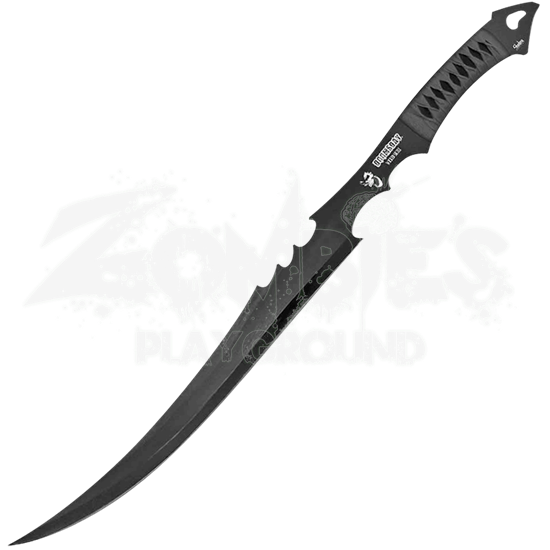 This functional, full tang blade is made of 420 blackened steel, giving the weapon a sleek, tactical look. 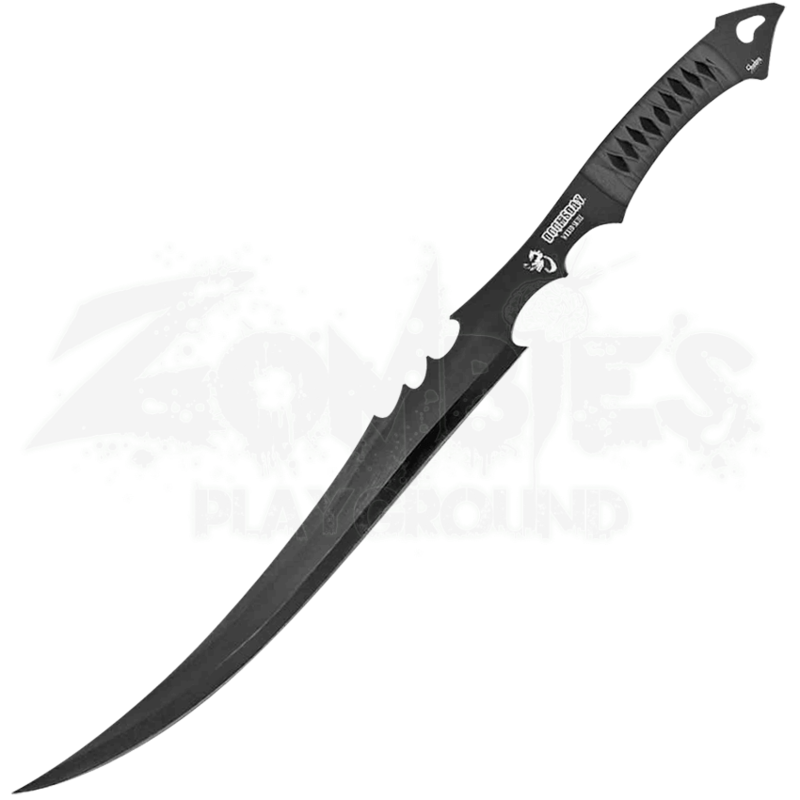 The hilt of the sword is wrapped with black nylon in a style reminiscent of samurai swords, adding a unique touch to this battle ready weapon. Serrations near the hilt lend it some versatility, and the cut out on the pommel makes it easy to attach a lanyard for easier carrying. Included with the Doomsday Tactical Stalker Sword is a matching black nylon sheath, perfect for safe storage.